The Andromeda Galaxy is revealed in unprecedented detail in four archive observations from the NASA/ESA Hubble Space Telescope. They show stars and structure in the galaxy’s disc, the halo of stars that surrounds it, and a stream of stars left by a companion galaxy as it was torn apart and pulled in by the galaxy’s gravitational forces. 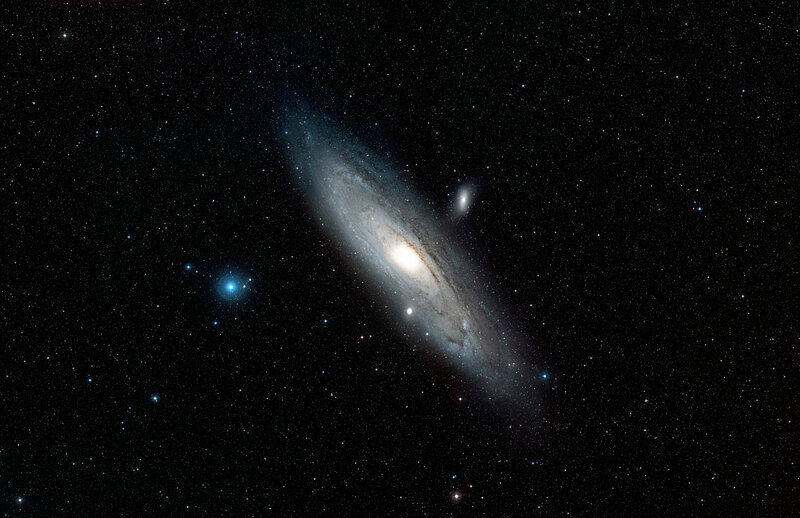 These four observations made by Hubble’s Advanced Camera for Surveys give a close up view of the Andromeda Galaxy, also known as Messier 31 (M 31). 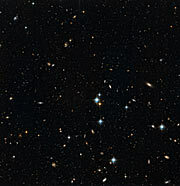 Observations of most galaxies do not show the individual stars — even the most powerful telescopes cannot normally resolve the cloudy white shapes into their hundreds of millions of constituent stars. In the case of the Andromeda Galaxy, however, astronomers have a few tricks up their sleeves. Firstly, images from Hubble Space Telescope have unparalleled image quality as a result of the telescope’s position above the atmosphere. Secondly, M 31 is closer to our own galaxy than any other spiral galaxy (so close that it can even be seen with the naked eye on a very dark night ). And thirdly, these observations avoid the crowded centre of the galaxy, where the stars are closest together and hardest to separate from each other. The resulting images offer a different perspective on a spiral galaxy. 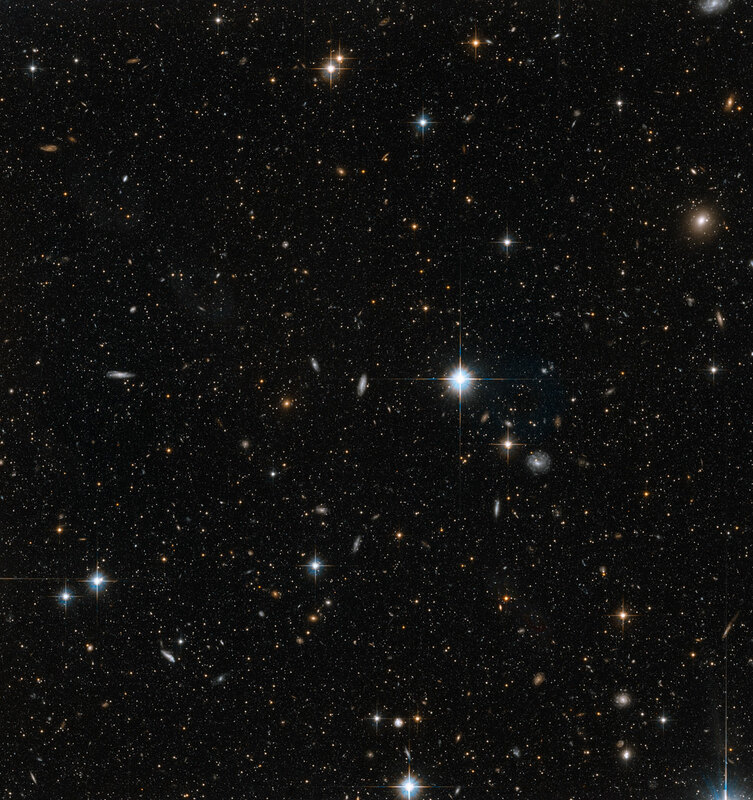 Far from being an opaque, dense object, Hubble reminds us that the dominant feature of a galaxy is the huge voids between its stars. 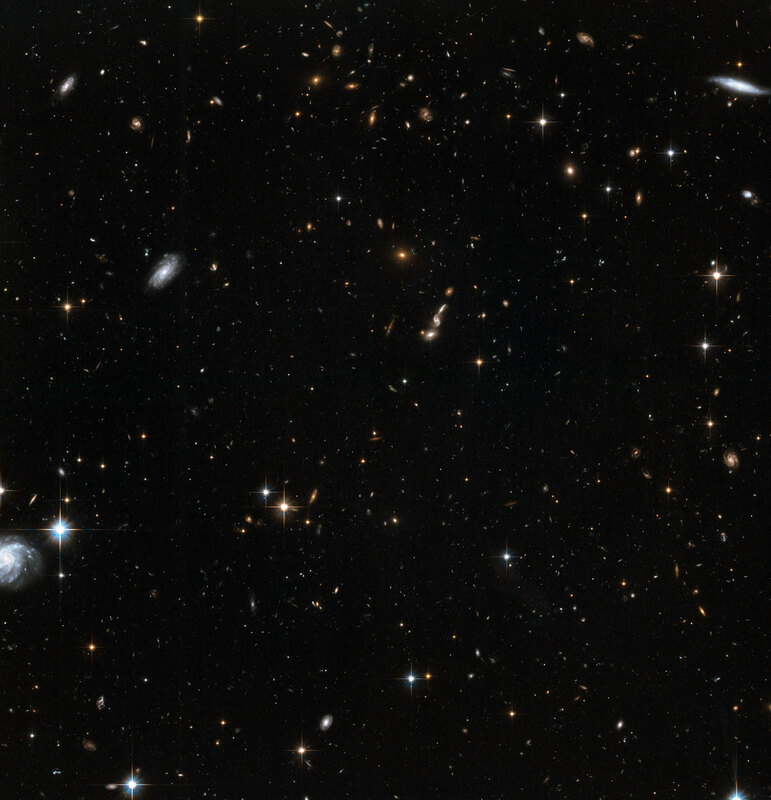 Thus, these images do not only show stars in the Andromeda Galaxy (and a handful of bright Milky Way stars that are in the foreground): they also let us see right through the galaxy, revealing far more distant galaxies in the background. The four images in this release look superficially similar, but on closer inspection they reveal some important differences. The two images taken in M 31’s halo show the lowest density of stars. 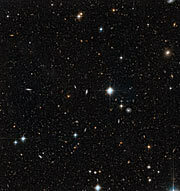 The halo is the huge and sparse sphere of stars that surrounds a galaxy. 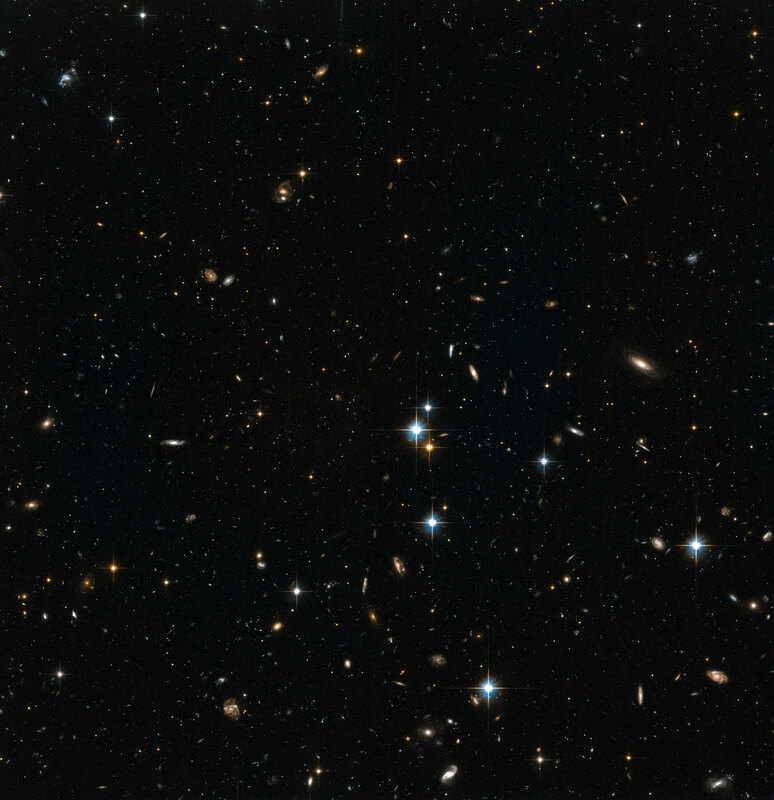 While there are relatively few stars in a galaxy’s halo, studies of the rotation rate of galaxies suggest that there is a great deal of invisible dark matter. 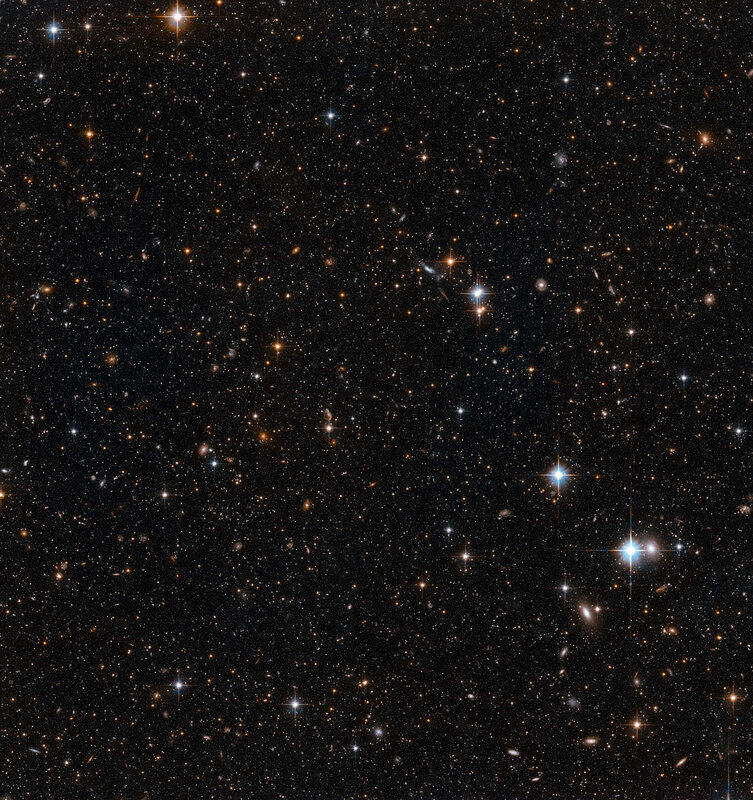 Meanwhile, the images of stars in the Andromeda Galaxy’s disc and a region known as the giant stellar stream show stars far more densely packed, largely outshining the background galaxies. 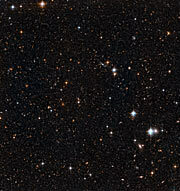 The galaxy’s disc includes the distinctive spiral arms (as well as dimmer and less numerous stars in the gaps between them), while the stream is a large structure which extends out from the disc, and is probably a remnant of a smaller galaxy that was absorbed by the Andromeda Galaxy in the past. These observations were made between 2004 and 2007 to observe a wide variety of stars in Andromeda, ranging from faint main sequence stars like our own Sun, to the much brighter RR Lyrae stars, which are a type of variable star. With these measurements, astronomers can determine the chemistry and ages of the stars in each part of the Andromeda Galaxy. The purpose of these observations also explains their exceptional depth: to gain useful data on dim, distant stars, a long series of individual exposures had to be made in each field. Together they combine to make images with a long exposure time. This has the side-effect of also revealing the faint background galaxies, which would otherwise have been invisible. 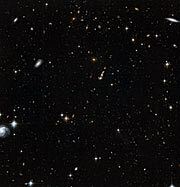 The Andromeda Galaxy’s full diameter in the sky is actually around three degrees, six times the width of the full Moon. But the outer regions of the galaxy are much too faint to see without a telescope.